Looking for that perfect wedding location is one of the most important decision a couple will make. Though it might sound exciting, it could be hard and time-consuming, especially if there is a specific theme or settings preferred. For those couples who would love to say their “I Do’s” on venues with amazing views to celebrate their union of love, we can help you out. If you are in search for a magnificent rooftop venue with the view of the city, to the most elegant restaurants, to romantic sites with that perfect view of the marina, we picked one of each to help you chose so you can give your guests a lasting impression. This romantic rooftop can host a solemn or elegant wedding celebration, boasting with an amazing view of the beautiful city of Singapore. The Rooftop Gallery and Bar on Level 63 will give you a clear view of the whole city out in the open while the Stellar on Level 62, which is modern and elegantly furnished, will allow you to bask in the view of the city in comfort, inside an air-conditioned space. If you prefer Italian fine dining cuisine with exquisite interiors, boasting with a magnificent view of the Marina Bay, then this is the perfect choice for you. Forlino guarantees an exceptional sensory experience for you and your wedding guests. If you prefer to celebrate in daytime, you’re in for the blessings of the natural sunshine that filters through the restaurant’s glass widows or if nighttime, you’ll be in awe to see the brilliant city lights and the shimmering waters at the bay that will also make your guests mesmerized. The elegance and class of this chic, French bistro restaurant will definitely leave your wedding guests in amazement. La Brasserie boasts its 10-meter high floor-to-ceiling windows, offering an amazing view of the waterfront, perfect for romantic weddings. You can chose from their two private dining rooms and main dining hall or al fresco terrace. La Brasserie’s luxurious interiors, impeccable cuisine and amazing views of the Marina Bay will definitely wow you and your guests. Located at the CapitaGreen building’s rooftop, Artemis is the perfect location with a breathtaking urban skyline to exchange your “I Do’s” in. The rooftop terrace is best for romantic solemnisation under the sky with an awesome view of the city skyline at the 40th floor. The Main Dining Room, located indoors have two private dining areas with full glass windows where you can also gaze at the beautiful city view. It is recommended for couples who likes the indoors, but wants the beauty of the city for their guests to enjoy. Located at the top of the National Gallery is Aura. 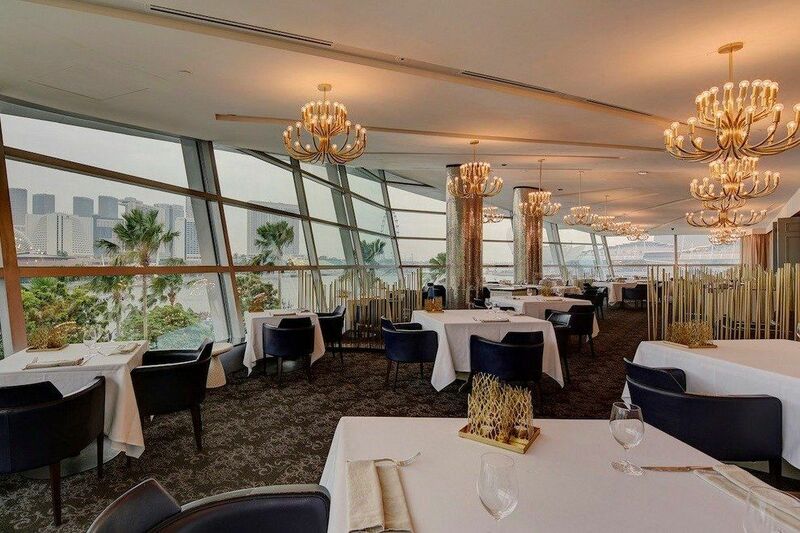 It is an exquisitely unique dining place that features a nice Italian Restaurant and a Sky Lounge at the rooftop offering a mesmerizing view of the Marina Bay and Padang skyline. If you are dreaming of a sky-high wedding with a stylish Sky Lounge, boasting with a blissful sunset and panoramic view of the city, then this is the perfect location for you! Situated at the top of The Fullerton Bay Hotel is the Lantern Rooftop Bar. It is known as one of the finest hotel bars in the world. 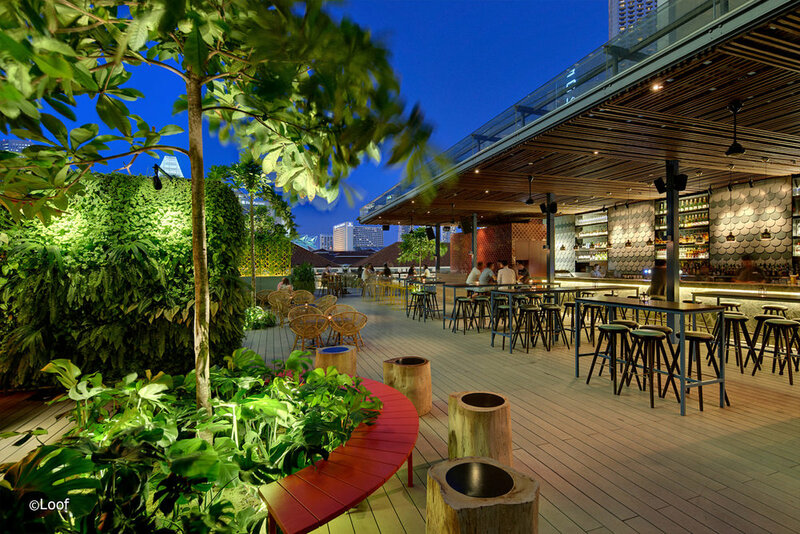 The elegant rooftop bar is boasting with a mesmerizing view of the Marina Bay Waterfront and the city’s skyline. It is hailed as one of the most popular place for celebrations, solemnizations and weddings. Loof, located at the top of Odeon Towers, is a garden rooftop bar well-known for being the first of its kind since it started in 2005. It is a preference among tourists, expats and even locals. The place is not only for casual hang-outs, it is also great for intimate occasions like weddings and solemnization. Made out of interconnected and full glass aluminum-framed modules displayed across the timber, with the artificial turf decking on the roof of the Esplanade, Orgo is well-known and one-of-a-kind location for after work parties, private functions and romantic weddings. It serves European modern cuisine, and it’s food packages is based on the Chef’s preference, while taking into consideration the couple’s requests. Having an outdoor pool and bar, Park Hotel Alexandra is perfect for an outdoor wedding ceremony. You can say your “I Do’s” at the elevated Aqua Luna Pool Deck by the mesmerizing Infinity Pool, boasting with an amazing panoramic views and the romantic sunset. Celebrate your union of love with family and friends at the Botanique for a memorable experience. The Sands Skypark is well-known for its mesmerizing view of the breathtaking Marina Bay and the city’s skyline. 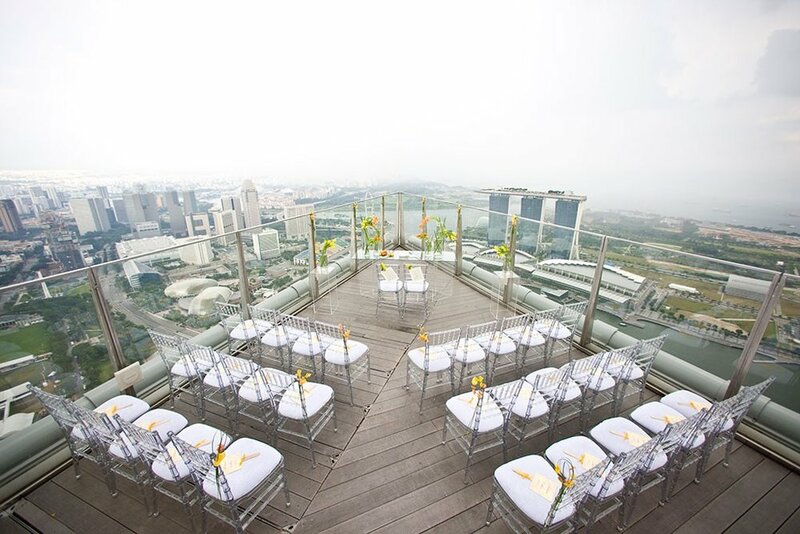 Located at the Level 57 of Marina Bay Sands Singapore, it is an ideal spot for couples who want to celebrate their solemnization with the city view and the sky as a witness to their exchange of vows. A perfect venue doesn’t always equate to expensive. A good decoration and modification can transform a simple venue to an amazing one. If you want customizations for your wedding venue, better coordinate with the venue managers as early as possible to discuss. Just take note that this will usually add up to your fees. If you want lasting memories captured on your wedding day, we provide photography and cinematography services, using top-of-the-line equipment and with our undeniable expertise, we aim to capture the happiness and beautiful story of this wonderful celebration of union and love. It is a common tradition at weddings, and it should not come as a surprise to you when you are asked to do a speech on your big day. Traditionally, the couple will take turns to deliver their own speeches towards the end of the celebration, each on a language that will be understood to both their English and Mandarin speaking guests. To give you an idea of what kind of speech you should prepare for, imagine it as your award-winning moment. Think of yourself as if you’ve just won an award and you are to give thanks and share your story of success to the audience. Your wedding speech should be about this, thanking those who’ve helped made the wedding a success and imparting parts of your journey as a couple. The wedding speech is an important part of any wedding celebration and it should be thought out carefully. We’ve collected some tips you can use as a guide to help you write that perfect wedding speech. The best speeches are those that are well- thought since it was given an ample time to make. Having an inspiration to write can come at any moment and it’s always best to be prepared. The best way to compose a good speech is to keep a small notebook with you and write down anything that comes in your thoughts or memories that could be used into your speech. By doing this, it ensures that all your thoughts are recorded in writing and you can use it as reference when writing your final speech. Jot down any stories you want to include and the don’t forget to list down the people you want to thank on your big day as well. Your guests can be as young as infants or as old as your great grandparents. They have no idea on what’s on that piece of paper you’re holding in your hands. It’s best that you should not use stiff, deep or very formal language in your speech. Instead, keep your speech simple by using a conversational language. Keep your speech to not more than 5 minutes by using short, concise and easy to understand sentences. Speeches usually begins with “Ladies and gentlemen” and ends by inviting the guests to a toast. To keep your guests attention on you while delivering your speech, inject funny or heartwarming story into your speech. Do not be afraid to add funny jokes whenever it crosses your mind. An impromptu is funnier! If you tend to speak faster when you’re nervous, write the word “pause” at intervals on your speech to remind you to take a breather. Take every chance you can to practice your speech – do it in the shower, while you’re resting or even during lunch breaks. It’s a good practice to record yourself while delivering the speech to check on the areas where you need to improve. Always remember that the more you practice you perform, the more prepared you will become, and the less nervous you’ll be when it’s time to say that speech to the guests on you big day! The last thing you want to happen on your wedding day and add on to your stress and anxiety is losing the only copy of your speech. It can easily be prevented. Just print multiple copies of your speech and give it to your maid of honour, bridesmaids and/or parents for safekeeping. How can it be possible for all copies to be lost, right? By doing this, you can just relax and enjoy your wedding day without worrying about losing the copy of your well-written speech. Sincerity is felt through eye contact and it is very important when delivering speeches. It’s best to maintain short eye contact to one person before moving on to the next. Let your eyes move across the room but always let your vision focus on one person at the end of it. Do not stare at one guest only for the duration of your speech as it will look rude for others, as if you are disregarding them. The idea is to meet everyone’s eye when delivering your heartfelt message across. Race, Religion, Age and Gender Discrimination - we do not want issues to arise. Ex-partners - it will be so awkward for your husband/wife and for the guests. Last minute threats to call off the wedding - unless you can pull it off as a joke, but I strongly suggest not to. Swearing - if you can’t, replace it with another word. Explicit sexual references - hey! there are kids in your guestlist! Parents and Parents-in-Law – for their support, love, and help in the planning of the wedding. Your loving husband/wife – mention how you met him/her and the things that you admire in about him/her. Guests – for their time and effort to attend your big day and for their gifts. The Wedding Party – for all the help and for being a part of the celebration. Wedding Planners – for helping you plan the beautiful wedding of your dreams. For every end of a great wedding speech, there should be an invitation for a toast. Do this by raising your glass and ask your guests to do so as well. If you want lasting memories captured on your wedding day, you can check out FR Studios. We provide photography, cinematography and photobooth services, using top-of-the-line equipment and with our undeniable expertise, we aim to capture the happiness and beautiful story of this wonderful celebration of union and love. It’s your wedding day, a day to celebrate you and your partner, but do not forget the activities that your wedding guests can enjoy in your planning. Keep them occupied and entertained with these 10 awesome activities that will last until the end of the wedding celebration. Some of them can even act as an additional décor or wedding favors! Throwing games are still the best way to keep the fun going and keep your guests entertained at your big day. 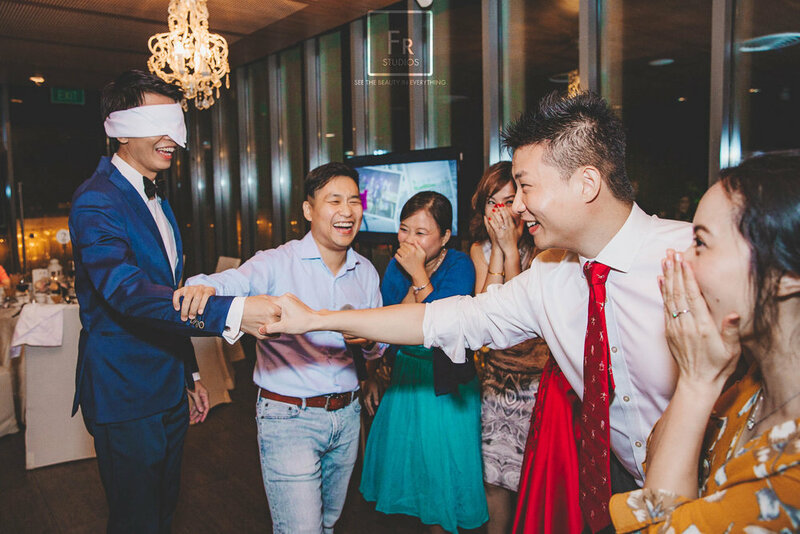 Games like How Well Do You Know Each Other, Bride & Groom Trivia, Wedding Shoe Game, Roman Hands & Russian Fingers are still guaranteed to have your guests laughing out loud. If you want something unique and interesting, instead of having the common video montage, why not try Sand Art Video? Watch as your guests stares in amazement as the sand is weaved together to tell the story of how you and your partner met, fell in love and ended in a union of love. This is a classic staple at every wedding reception. It’s a sure-fire way to keep all the guests busy plus, they can even take their pictures home as a lovely souvenir from your wedding. Another way to entertain guests while they are seated at their tables while waiting for the food or the program is by giving them interactive fill-out cards that they can write on. You can choose from marriage advice, fill in the blanks, well-wishes or even baby name suggestions! If you want to show your artsy side or if your wedding theme is art, a Caricature Drawing Booth would be a perfect addition to keep your guests entertained. Look for an expert fast caricaturist who can produce drawings for events in a short time like wedding to ensure everyone gets to have their turn of having themselves drawn. Instead of the traditional guestbook to fill with your guests’ well-wishes that you can bring home after the wedding, opt for an adorable Mason jar frame and have small wooden hearts that guests can write on as their blessings for your union. Keep your guests entertained by providing something that they can look at with artsy prints and quality photos. Have a soft-cover photobooks, framed photos hanged on walls and displayed on tables, wall canvass and rustic wooden and keepsake boxes available for your guests to view and hold. You can design it based on the wedding theme and it also acts as an additional décor. As the night of the reception gets late, the presence of a DJ or a Live Band is indispensable in keeping your guests entertained. Live Bands are much preferred as they can interact with your guests by taking song request or asking guest to sing a song, or jive to a dance song or slow dance. Hire a Live Band that is familiar with doing wedding gigs to make sure of a lively celebration. This is will be an awesome way to keep your guests filled up before or after the dinner. Have a mini food or drink carts offering light refreshments around your reception area instead of having waiters roaming around and offering it to everyone. A total hit to your guests who loves to drink tea. It is cute and unique, and will be the talk ofyour wedding reception guests. Choose a variety of tea leaves in different colors and put them in organza bags and place jars around. Let your guests blend a tea of their choice that they can drink on the reception or bring home. This can also be a wedding favor too! If you want lasting memories captured on your wedding day, you can check out FR Studios. We provide photography , cinematography and photobooth services, using top-of-the-line equipment and with our undeniable expertise, we aim to capture the happiness and beautiful story of this wonderful celebration of union and love. For most couples, choosing a wedding date is as simple as a walk in the park, but for some, especially those who practice their culture, such as the Chinese who strongly follow their traditions, it would be a different story. 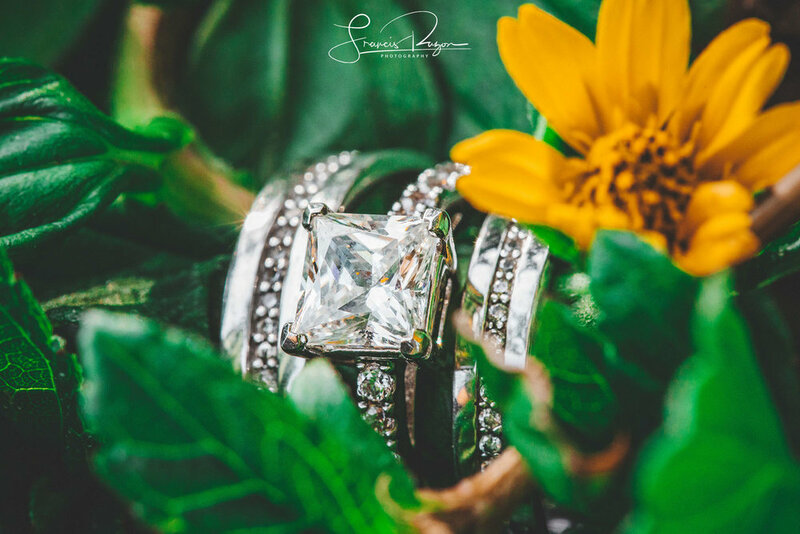 When choosing a date for your big day, the idea is that the big percentage of the people on your Guest List should be available to witness the wedding that you’ve been working hard to prepare for. 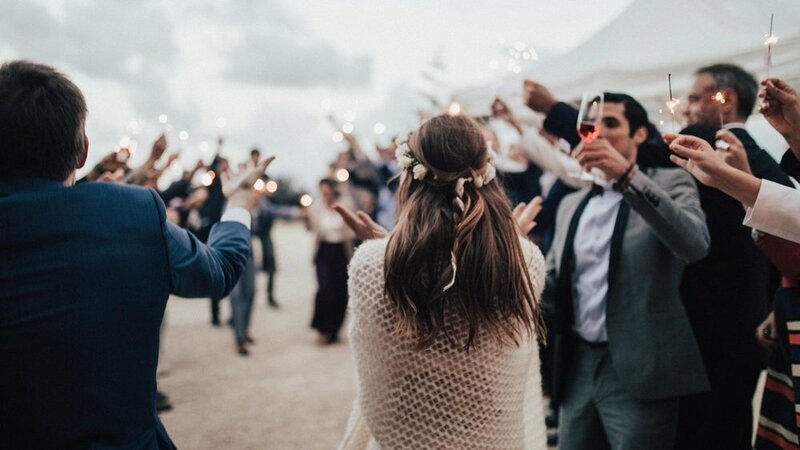 Sure this would be a perfect date to choose if you are having a destination wedding with an intimate guest list, but also be aware that this can backfire on you as well. 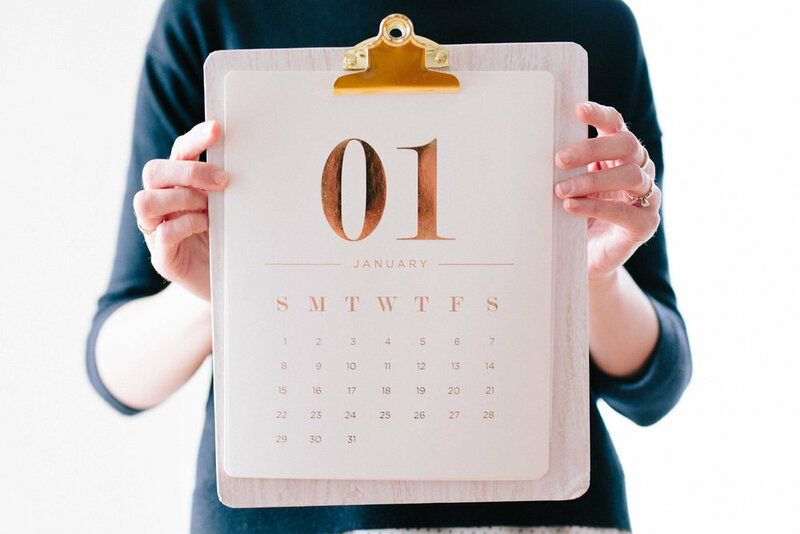 Most people would have anticipated these dates and would not miss the chance to plan a vacation or book a trip even before they receive your wedding invitation. So make sure that if you wanted this date, you have a back-up plan to lessen the risks. Your family have dates set to get together to celebrate birthdays of your grandparents, parents or a seasonal reunion to keep your bonds close, this is also the same story that your partner has. Make sure you consider this when deciding which date your wedding will fall. If in case a date you want your wedding to be in falls under his mother’s birthday, be sure to ask him if it is okay that you share the celebration with her for this year, since birthdays are yearly celebrations anyway. Another dates to consider would be school or friend’s reunion dates, festival seasons, or convention dates to attend. A wedding day that will fall on religious holidays like Good Friday, Easter Sunday, Eid al-Fitr, Silence Day, Thanksgiving Day, Christmas Day, New Year etc., would likely have slim chances of having a big percentage of their wedding guest list to attend as most people would prefer these holidays over a wedding celebration. They would rather spend it with their families at home or visit out-of-town relatives and most probably have planned this ahead of your wedding invitation. 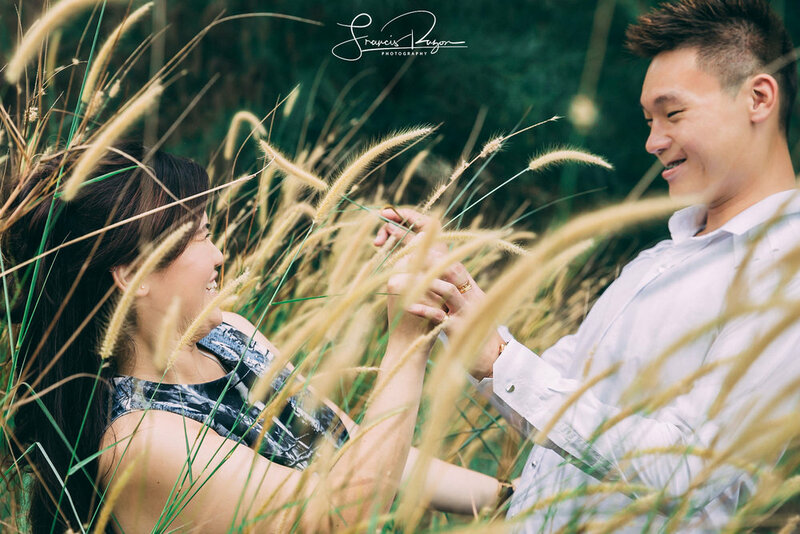 The most popular months for weddings in Singapore are March, May. June, July, September, November and December. These months are usually in between big festivities like Qing Ming, The Hungry Ghost Festival, Chinese New Year, Hari Raya Puasa and Deepavali. If you want your wedding to be on peak season, most probably the venue you prefer are already fully booked, or is more expensive compared to non-peak seasons. For the Chinese, they have a set of auspicious dates that couples can chose from based on their zodiac signs. These dates are published prior to next year so couples can pick and plan ahead. For Malays on the other hand, after Hari Raya Puasa celebration is mostly preferred. For some Muslims, weekends are mostly their choice as this is where mostly family and friends would be available. For Hindus, they also have auspicious dates that they can chose from when they consult the temple. Remember that the wedding day you picked will become a memorable day for you as a couple. The earlier you chose a date and send the wedding invitations to your guest list, the more chances that most can make it to celebrate with you. The technique is early advice and constant communication. Get your guest list’s confirmation of attendance the soonest so you can substitute in case they cannot make it to your event. One of the final task you will make after all the guests RSVD’d to your wedding is to assign where they will seat. This is not really an enjoyable part but this needs to be done. If you have friends or family members that you want to be a matchmaker for, or to make new friends with and initiate conversations, now is the right time to purposely manipulate them to be seated together or be at the same table. Don’t worry, we got your back! Here are some basic tips you can refer to when assigning seats to your guests. The layout of your reception hall matters as this will determine how you will group your guests according to your preference. It’s best to ask your venue coordinator or your wedding planner about this. It is also wise to consider the convenience of those guests with children, elderly or disabled. They should have easy access to conveniences like restrooms, exits and quiet locations where people will seldom pass by. Western wedding receptions have long rectangular tables placed in front of the hall facing the other guest. The couple can be joined by some of the main guests like the parents, best man, and maid of honor. As for the Asian wedding culture, we use a VIP table, placed in front of the hall with the other guests. Whichever style you prefer, make sure you decide early and determine who you want to sit with. One of the easiest way to group your guests is to look at their age, interests, stage of life and relationship. Group those whom you know has a thing in common – those who are interested in photography, age groups of 20’s. 30’s and up, to those who were your classmates back in college. Whatever groupings you prefer, never leave out people as leftovers and just group them together – try mixing them in other groups on different tables. It’s not good if they discovered they are leftovers. Also, a point to consider is guests who made a special request because of their needs – a family with kids that need to seat together or a group with a specific dietary requirement. If you are like some people who prefer to see the plan with their eyes, it’s best that you make a chart that will show you the layout of the venue and the seating capacity. You can use a large paper and add post-it’s with names of your guests and move them around as necessary to mix and match wherever you want them to be placed. Sometimes, no matter how well you plan your guest’s seats, there’s a chance that it will not be followed strictly for some reason. Stay relaxed and respond properly to those guests who said no and then shows up suddenly, or someone brought a plus-one without informing you. An extra seat always comes in handy in these situations. If you have name cards placed on each seat, remember to bring extra ones and a marker so they will feel that they still belong regardless. Always remember that this day is your day. Most of the decisions should be made by you. Seating your guests should not be stressful. Enjoy every process and relax, you’re just a few days away to your big day! If you want lasting memories captured on your wedding day, you can check out FR Studios. We provide photography and cinematography services, using top-of-the-line equipment and with our undeniable expertise, we aim to capture the happiness and beautiful story of this wonderful celebration of union and love. Your wedding budget plays a huge part on how big or small the number of guests you can have on your wedding. Also, the couple’s personality or preference should be taken into consideration. Couples who like intimate celebrations would opt for a smaller number of guests and those who want a grand celebration can invite guests as many as they like. They are your parents, siblings, their partners and their children and grandparents. Second would be your uncles, aunt, and cousins that you are close with and/or constantly seeing. They are the rest of the family members that you do not have constant communication with. This is the best time to invite them, especially those that you really like or felt a strong connection with. Weddings also serve as a reunion of families and it would be a good feeling to reconnect with relatives that you haven’t seen for a very long time. No wedding is complete without the closest friends. They should always be on your list. Then move to your friends from those you have constant contact with from your neighborhood and school, to those friends that you rarely connect with but you think is a great addition to the list. If you invited a married person, chances are they will bring their spouses with them. It is best to ask all the guests if they would bring an extra person with them so you can keep your numbers accurate. If you are on a budget, do not feel bad in asking your single friends or relatives not to bring any extra people to the event. Trust me, they will understand, you just need to say it. Your Mom’s best friends, your Dad’s long-time business partners, those people who are close to the family should also be considered. You can discuss this with your parents if you want these people to be a part of your wedding day or not. Children play a role in weddings, but more of them could change the dynamics of the event itself. This really depends on the couple if they want to limit the number of children invited as guests. A good rule of thumb in inviting guests is to invite approximately 10 percent more than your target number as this is the margin of those that might decline. 1. Do not invite verbally if the person is not on your list – you would want to avoid conflicts, disappointments, and embarrassment. 2. Keep it fair – Share half of the guest list with your spouse. 3. Don’t forget to count the children – to prevent surprise overage on the big day that will cause stress. 4. Count yourselves as guests – add it to your final list. 5. Check the Wedding Venue Capacity – If there is a minimum number of guests for your chosen package, always keep it in mind while creating your list.